Surveyor's compass made by Goldsmith Chandlee for Darby Ensor (1741-1825). Darby Ensor was the deputy surveyor for Baltimore County. He surveyed lots around the inner harbor of Baltimore City from 1808 to 1823. Goldsmith Chandlee (1751-1821) - had two shops and a brass foundry in Winchester, Virginia. He was known for his compasses and tall case clocks. Donated by Mary Jenkins. 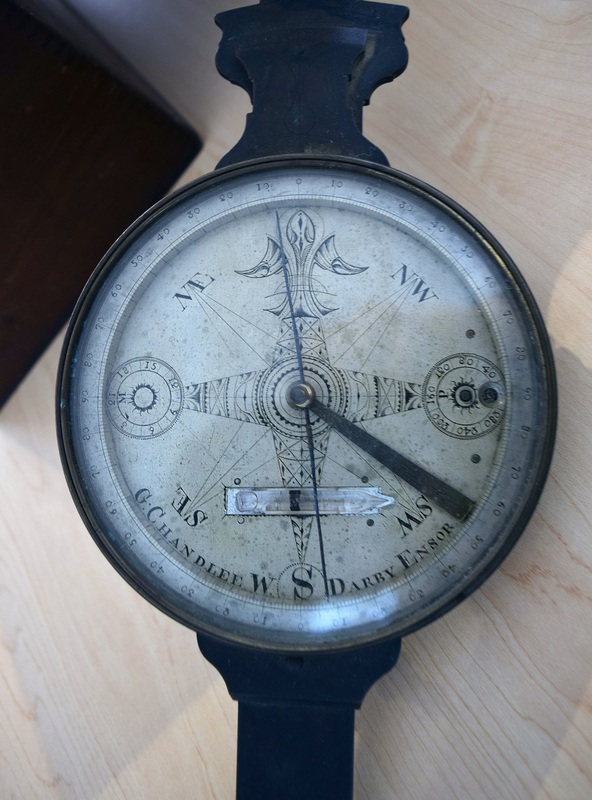 The compass belonged to her grandfather, Howard Hansel Tunis from Tunis Mills, Maryland. Goldsmith Chandlee (1751-1821) - had two shops and a brass foundry in Winchester, Virginia. He was known for his compasses and tall case clocks. 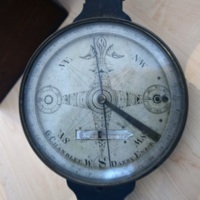 , “Surveyor's Compass, ca. 1806,” Nabb Research Center Online, accessed April 21, 2019, https://libapps.salisbury.edu/nabb-online/items/show/271.